Happy April friends! It’s Jennifer from Delightfully Noted and it’s hard to believe that it’s already been about a year since I shared the “Tote-lly Terrific Teacher” Gift Tags here on Uncommon Designs. I’m so excited to get to share another fun printable with you today, perfect for your teacher! 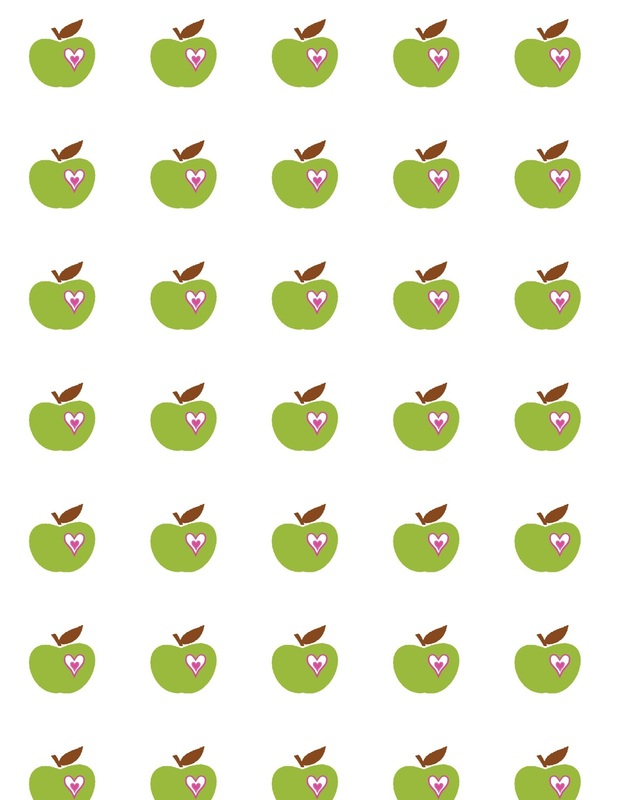 Can you tell I have a thing for apples? I don’t eat enough of them but I love the charming look of them on paper and nothing screams “teacher” more than apples, right? You can click on the photo below to download your gift wrap. All you need to do is print it off on plain white computer paper. One sheet works great for small gifts such as a box of jewelry or a gift card. I have a lot of teacher friends and let me tell you they love receiving gift cards! If you’re wrapping a slightly larger gift then I would suggest printing off a few sheets of gift wrap. You can download and print the mini thank you cards here. Print them off on plain white card stock, then cut with scissors and fold in half. The cards are blank inside leaving plenty of room for a special message from you or your child. Your sweetly wrapped gift is sure to bring a smile to your teacher’s face. take a whole week to thank and celebrate them! Adorable Printable Summer Bucket List ! Super cute teacher appreciation gift!! Love it!! Really cute! Love the apple designs! SO super duper cute!! Thank you for sharing this adorable card & gift wrap ~ it will be perfect for my son’s kindergarten teacher’s gift! Hey Girl! It’s Deonna from the Child at Heart blog. I was just stopping by to say hello! I was a teacher before I had my little one so I really would love to get something like this as a gift. So cute. Pinning! Have a joyful week! These teacher appreciation cards and wrapping paper are lovely. Thank you so much for sharing!